CJSR wins John Poole Award for Promotion of the Arts! April 29, 2014 | Meagan Miller & filed under Uncategorized. Wow! 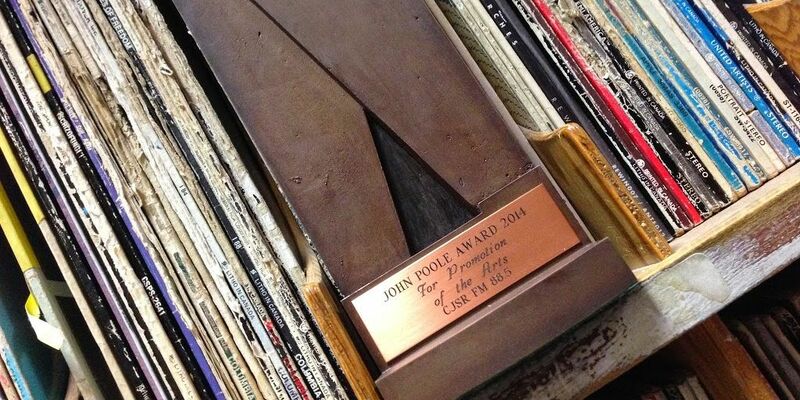 If you can believe it — we’re not quite sure we can quite yet — CJSR was awarded the John Poole Award for Promotion of the Arts at the 2014 Mayor’s Celebration of the Arts! It was an honour just to be nominated for this prestigious award, but to win it? We’re speechless. Thank you to everybody who has contributed in both large and small ways to this 30-years-and-counting experiment in community-powered, public radio in Edmonton. But most of all, thank you to all the listeners of CJSR FM 88.5. Your support means that we can continue to support our city’s vibrant arts and culture scene for years to come!